Most employees and managers do not correctly recognize workplace harassment. As a result, it can occur under their noses, and result in liability to the practice. It is important to know what is permitted and what actions or activities have no place in the business world. What do you do if you have a problem in your office? How will you handle it? 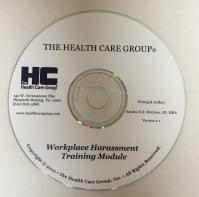 This Workplace Harassment Training Module covers these areas and offers managers instructions on how to handle complaints and investigations. By providing this 40 minute training to your employees, you will reduce your legal exposure.